Years ago, talking robots and computers astounded the imaginations of our grandparents and parents. Jump ahead into the 21st Century where technology is advancing so quickly, it’s hard to keep up with all the new must-have gadgets. What can techno geeks and consumers expect to see in the near future? Here, we look at 10 devices to wow you. 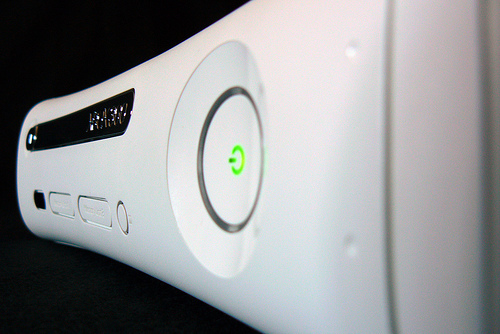 A lot is still unknown about the new Xbox, but expect it to be here for Christmas 2013. To compete with the Sony PS4, the Xbox 720 is expected to possess an AMD Jaguar-based CPU (1.6GHz) and 12 processing clusters, which some say means manufacturer Microsoft may be using the AMD Radeon 7790 chip. Expect a split memory chip — one for the system itself of about 8GB and one for the graphics. A trio of IdeaPads is out there for users to choose from, the Lynx, S Series and A Series and these multimedia android tablets are featured-packed. 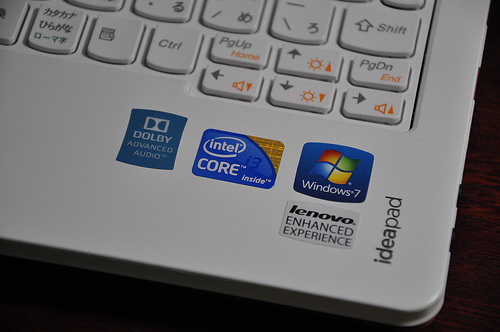 Depending on the IdeaPad model, get Windows 8, the Android™ 4.0 Ice Cream Sandwich or Intel Atom™ as your core technology. With 7-inch to 11.6-inch touchscreens, based on the model, you also get front and rear cameras, Bluetooth, 3G connectivity and long battery life. The 3rd Generation of Apple TV is here, and it offers 1080p streaming for movies, music and videos. Connect with iTunes, Hulu, Netflix and TV shows from your laptop or PC, and you don’t need a compatible Apple device. 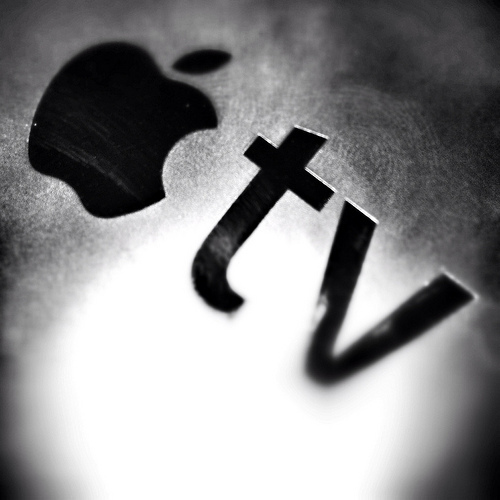 What’s nice is new releases for all mediums are often available on Apple TV before they hit the stores. Your 3D reality is here with the Oculus Rift wrap-around headset. This new technology gadget tracks head movement and is what virtual reality gamers desperately desire for optimal gaming experiences. 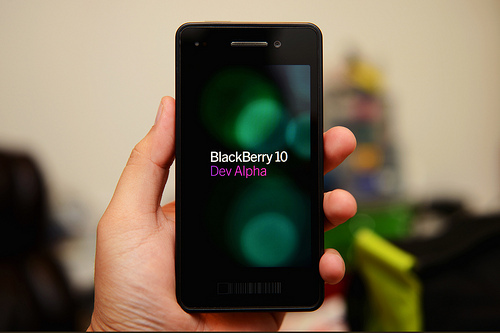 If RIM (Research In Motion Ltd) has a chance to compete with iOS, Android and Windows phones, it’s with the new Blackberry 10. The operating system is totally revamped and is touted as “the next big thing” in smartphones but will this prove to be true? Only time will tell. 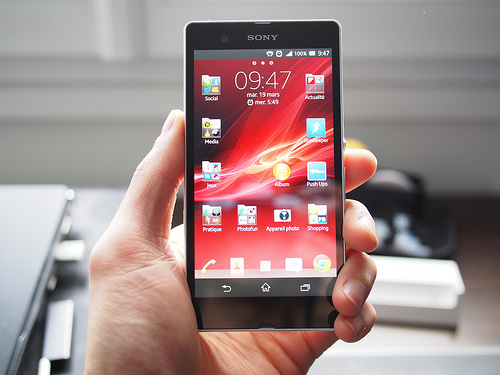 These tablet/phones from Sony have a 5-inch screen and are super thin. At their core is a Qualcomm APQ8064 chipset and Adreno 320 graphics; powerful, smart and small. An e-paper watch for the iOS and the Android? Yes, it’s true and Pebble watches come with an MP3 player. Stay connected to Twitter, Facebook and Instragram on the go. 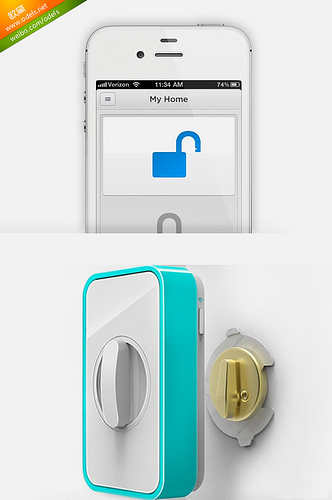 A nifty little gadget that will take the worry about whether you locked your front door or not! Set to work with iOS and Android smartphones via a downloadable app and if you have kids, you can get texts at the office once they’re safely home. Can’t wait for Google Glass? 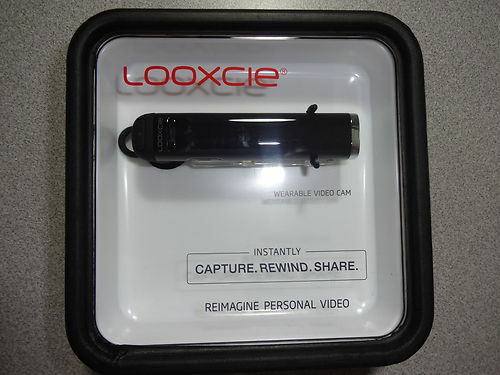 The Looxcie wearable video cam might not have as many features, but you can take videos and share on social media, upload them to the cloud or save them on the headset—it has five hours of video storage. New technology is always fascinating and these top 10 are sure to please both gadget heads and non-techies alike. What are your thoughts with all of the new gadgets on the market? What, if any of these, have you used? What are you looking forward to trying? Hi Teddy, we tend to settle down with the latest technological inventions. However, we keep on getting news of some or the other more advanced version to be laubched. I personally believe we can never have enough of technology, be it in any field. Thanks for sharing the post with us. Thanks for taking the time to comment on Teddy’s guest post. Technology keeps our lives interesting that’s for sure. Technology seems to be a rebel. It never fails to achieve far beyond people expect it to. However, if it doesn’t do so people will not be the super power they are today. Whatever the modern world today has, is all because of this over achieving aspect of technology. That’s an interesting observation about technology helping super powers. I agree with you. The world is growing rapidly in technology and that is why new technologies emerge every year. Buying gadgets can be an expensive hobby. My husband is the gadget buyer in our household and he usually waits until he finds them on eBay. Good luck with your Apple TV! It’s interesting how fast development is nowadays. It’s great fun but do we really need all these gadgets? Agree with what Jeanette says about Google glasses. But then again, the majority of people in this world love gadgets and buy anything new because they feel it gives them prestige and makes them feel important. You should see the amount of gadgets Asian working in the Middle East buy before they go back home to visit. If they don’t, the people in their village conclude they are not successful. First time a medium level Asian asked me where I got my digital camera I was amazed that he felt he could afford one. But they spend a fortune on such gadgets, even though they really cannot afford them. Catarina recently posted..Ever heard of the iKnife? Catarina, I agree with Jeannette too that most of us don’t need the glasses and I really fear that some people will try to use them while driving. My favorite gadget in Teddy’s list is the Lockitron. At least that seems practical. That’s too bad that some people feel the need to buy gadgets as a way of impressing others but it’s reality. Martin, Some of the technologies that are coming out are amazing. It wil probably be a while before some of them become main stream. I can’t wait for the Google Glass to come out in the market. I am sure it is not just me. A lot of techie people are surely excited to get hold of this one. That seems to be the most popular of the ten technologies that Teddy wrote about Jeremy. Jeri recently posted..Curse Words in Books: Yea or Nay? Luckily, my husband isn’t into Xboxes. He tends to go for little obscure gizmos like video cams and other devices that he can use in a vehicle. These make me think of the Jetsons TV show and some of the technology does look interesting. 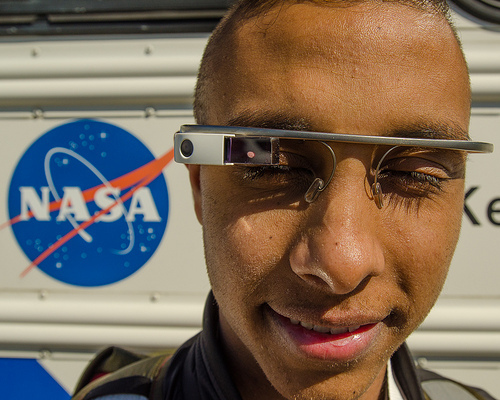 I do wonder how you would wear Google glasses over your own glasses? I do too Sherryl as there are enough distractions when driving. I stay in Africa and must confess that we are still lacking behind in most of this technological advancement. I’m mostly keen and enthusiastic about the Google Glass, I look forward to buying it once it is available in Nigeria. Sorry to hear Africa lags behind in technology. I hope you get your Google glass someday. Sherryl — Steve Jobs famously said he never conducted consumer research because he believed that people didn’t know what they want. He invented products that produced a need where there wasn’t one before: i.e., the smart phone. Wonderful. But I think Google Glass has gone one step too far. Do we really need to be walking around with a device on our forehead that that does everything but sing and dance? This is not on my must-have list! As I read your comment, I got a mental picture of people driving around wearing a Google Glass. It’s dangerous enough with the number of people who text and drive let alone that! Hi Teddy, Welcome to Sherryl’s place. I am quite fond of tech and gadgets in particular. My favorite tech you listed is the Pebble watch. I’ve had mine since March and can’t stand to be without it. I love that it lets me read my text messages instantly and alerts me to incoming calls. I could have it do more, but I don’t want my wrist buzzing constantly! Carolyn recently posted..What’s New At Audible! I’ve always wanted to try the Pebble watch. It seems like it could do so much! Thanks for reading. 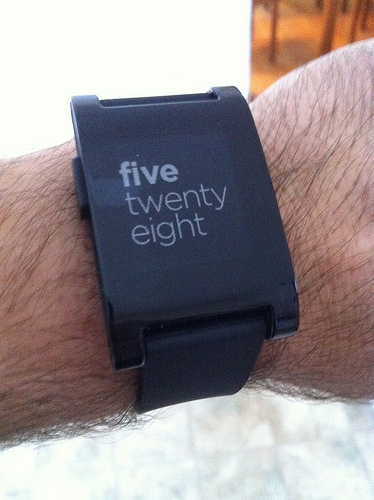 I haven’t seen anyone wearing a Pebble Watch before but I’m going to start keeping an eye out for it. They sound very cool. Next post: How Do You Know Which Bad Links Caused Your Google Penalty?